MCAlert is a cloud-based communications platform used by many community leaders to send emergency and informational alerts to their residents. Thousands of text message and email alerts can be sent in seconds throughout the United States, using MCA’s unique photo and video attachment feature to enhance the effectiveness of alerts. . Your community leaders will use MCAlert’s platform to communicate with you about those things that are important to you and your group, such as critical updates and information regarding activities or emergencies in your area. How many devices/e-mail addresses can I add to my account? You may register as many devices with MCA as you need. Will my cell phone number be shared or made public? No. MCAlert will never share your information with others. Text messaging charges may apply depending on your cell phone plan. What if my cell phone number or email address changes? You can easily update your device information at www.mcalert.net using the login information you created when you initially registered. After I have registered, how do I confirm that I will receive alerts? Once you have entered your cell phone information, you may test your ability to receive text alerts by clicking the "Send Test Text Message" button on the registration page. If you experience problems receiving a test text message, please contact MCAlert at 561-329-4201 for assistance. What if I am not able to register or I want to OPT back in? If you have verified that you have entered your information correctly and are still having issues, please contact MCAlert at 561-329-4201 for assistance. We'll also help you with opting back in. How can I opt out of receiving My Community Alets? You can opt out (discontinue) at any time just as easily as you signed up. 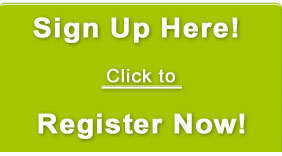 Log in to the registration page with your ID and click the "Unsubscribe" button or text 'STOP' to '313-131'. How do I ensure that MCA messages do not get caught in my spam/junk e-mail folder? Configure your spam/junk e-mail settings to recognize e-mails from (Info@mcalert.net), and alerts should arrive in your inbox without being filtered to a junk e-mail folder.